Part of the Century Collection by Ottiu, the Kim Armchair takes inspiration from 1950’s film star Kim Novak. Known for her striking looks and graceful stature, Ottiu combined curvaceous lines with classic finishes to create the Kim Armchair. Hand-crafted by skilled artisans, the armchair features a deep seat and contoured back to provide maximum comfort. 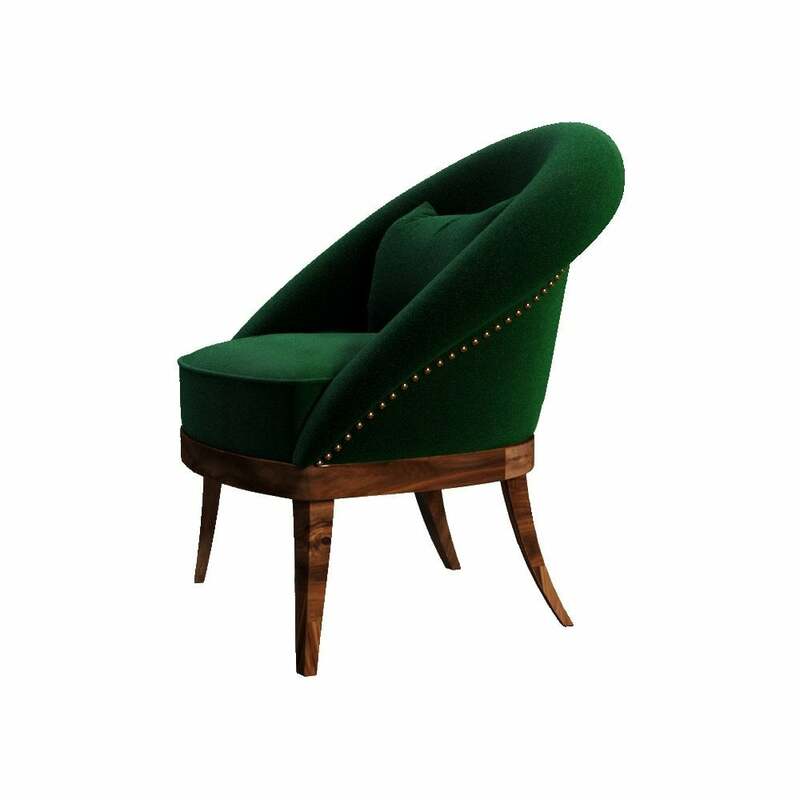 Upholstered in a soft cotton velvet, the fabric is adorned with polished brass studding. The strong pinewood structure is supported by walnut wood legs with a high gloss varnish. Bring a touch of glamour to your contemporary living space or interior design project with this covetable piece. Available in a range of upholstery finishes and colours, make an enquiry for more information. Priced for Upholstery: Ottiu Fabric. Structure: Pinewood,legs in walnut root with high gloss varnish. Details: Polished brass nails.